In the wake of the Sarasota County Commission’s 3-2 vote on April 11 to allow an amendment to the Siesta Key Overlay District zoning (SKOD) regulations, the Siesta Key Condominium Council (SKCC) expressed its dismay to its members. The vast majority of the 33 speakers — one of whom made his own comments after reading those of a person who could not attend the session — supported keeping the SKOD setbacks for commercial structures as they have been since the SKOD was approved in 2001. Even though a special exception process will be necessary for any applicant who wants a smaller street setback than 25 feet for a new commercial structure, opponents fear the amendment figuratively will open the door to undesirable changes on the Key. 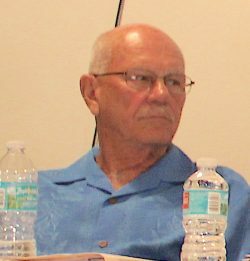 Regarding Bailey’s remarks, Jurenka wrote that he felt they were intended as “provide political cover,” indicating that Bailey and Commissioner Alan Maio — who represents Siesta Key — were trying to work out a compromise with the SKCC. Bailey left a voicemail for Lazin, Bailey told the commissioners on April 11, but had not heard back from him. During the hearing, Maio brought up the fact that the SKCC board members had “proffered what they thought was a solution” to the setback situation. The SKCC’s Option B said that in the three commercial zoning districts on the Key, the minimum setback “shall be two feet for buildings or structures not exceeding 35 feet in height. If a special exception is granted in any of those districts for structures or buildings exceeding 35 ft in height, the minimum street yard setback shall be two feet plus one additional foot for every additional foot in height above 35 feet.” Thus, a 36-foot structure would have a minimum setback of 3 feet from the street. That option added that if a building is taller than 66 feet, the minimum setback should be one-half the height of the structure. 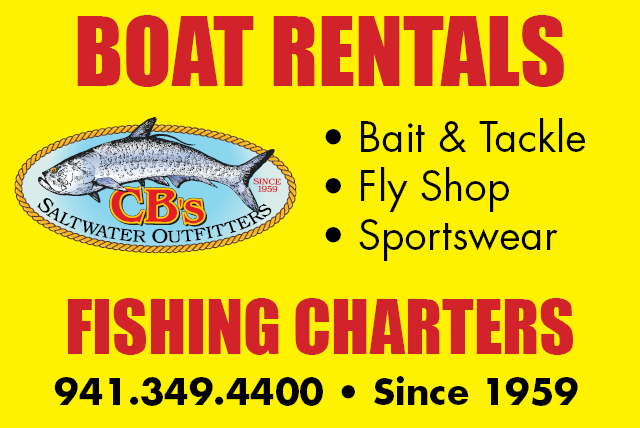 Under county zoning regulations, no building may be taller than 85 feet on any of the barrier islands. Bailey told the board members on April 11 that Zoning Administrator Donna Thompson had provided him a copy of Option B.
Jurenka also noted in the email blast that the SKCC had proposed the two alternatives to the SKOD amendment three weeks ago, indicating that Bailey had had ample time to approach the organization prior to the April 11 hearing. First, he wrote, a neighborhood workshop and public hearing before the Planning Commission and the County Commission will have to be conducted after Kompothecras formally submits a proposal for the hotel to county staff. Maio’s term as the District 4 County Commission representative is up this year. He is running for re-election, and he has one opponent in the Republican primary — Lourdes Ramirez of Siesta Key, who has fought against the SKOD amendment. Two Democrats also have filed for the District 4 seat. Jurenka added that Kompothecras’ project team members may turn in their petition to county staff soon if they feel the current make-up of the County Commission will be favorable to their plans. During his April 11 statement to the County Commission, Jurenka explained that the SKCC represents 90% of the 100 condo associations on the Key, totaling about 7,000 of the 10,000 units. One topic that arose during the April 11 public hearing on the SKOD amendment was the potential for the property where Clayton’s Siesta Grille stands on Old Stickney Point Road to be combined with two other parcels Dr. Gary Kompothecras owns on that street, so more space would be available for the hotel without amending the SKOD. Chair Nancy Detert raised that idea. “We’re trying to be problem solvers up here,” she told Clayton’s owner Clayton Thompson. Combining the three parcels “for a bigger piece of land … would be a little closer to qualifying to do what you’re asking to do,” she said. Kompothecras probably has put more thought into that than he has, Thompson responded. “I was thinking more about tearing down your restaurant,” Detert told him, and having it recreated inside the hotel. Before she called up the first group of speakers during the April 11 public hearing on the SKOD amendment, County Commission Chair Nancy Detert told the audience that she had 25 cards. It was 2:30 at that time, she added, so that meant two hours’ worth of testimony, as each speaker is allotted 5 minutes. At 4:22 p.m., she said she had four cards left. The board then took a break that lasted about 10 minutes. Later, after rebuttal from Charles D. Bailey III, the attorney for the petitioners, Detert and Commissioner Paul Caragiulo exchanged comments about whether the commissioners should try to write new zoning regulations themselves for the “South Bridge” area of the Key, which encompasses Old Stickney Point Road. Then Commissioner Michael Moran asked whether Detert ever had closed the public hearing. “The public hearing is definitely closed,” she replied, eliciting some chuckles among her colleagues and audience members.